Accurate audio mixing does not only require good ears and great mixing techniques. The success of your audio mixing strongly depends on your accuracy of adjusting the “correct” musical instrument frequencies. 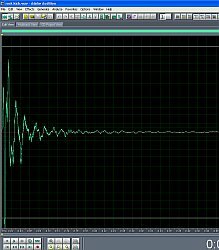 For example, if you are mixing the kick drums and using your ear you just “guess” that the fundamental/dominant frequency of the kick drum is around 100Hz. However as you adjusted the kick drums, you might found out that it did not solve the mixing problems such as masking with the bass guitar frequencies. 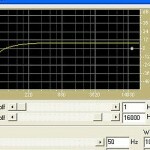 The root cause is that, the dominant frequency of kick drums may not actually be 100Hz but around 55Hz. Therefore your settings did not hit the musical instrument fundamental frequencies. a.) 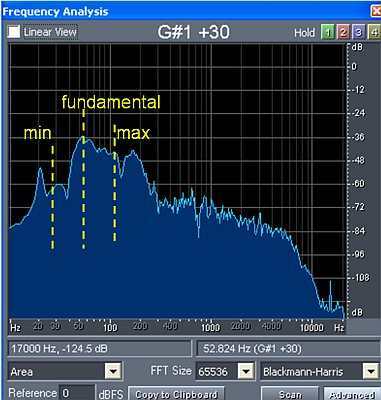 Fundamental/dominant or center frequency – this is the frequency which strongly defines the sound of the recorded instrument. A cut and boost of this frequency can strongly affect the instrument sound. 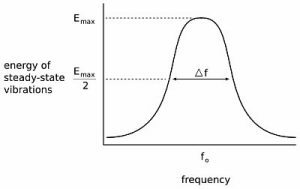 This is the frequency point where the energy is maximum; it is why it defines the instrument sound. b.) 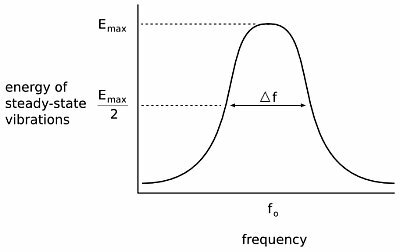 Effective estimated maximum frequency– this is the maximum frequency limit which is still part of defining the instrument recorded sound. 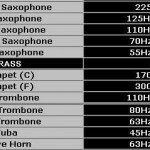 c.) Effective estimated minimum frequency– this is the minimum frequency limit which still defines the instrument sound. d.) Bandwidth (in Hz) = the difference between the effective estimated maximum and minimum frequency. Bandwidth is important when adjusting the instrument EQ using parametric equalizer. 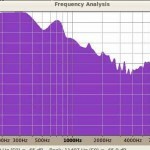 The best confirmation tool to be used during mixing is frequency analyzer. In Adobe Audition, there is a built-in frequency analysis tool that you can use. Read here for the details about viewing the audio frequency spectrum using frequency analysis tool. Other software such as Audacity and REAPER do include a spectrum analysis feature. 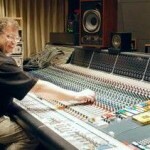 Case study: A sound mixing engineer is working on a project in the studio. He is interested in knowing the fundamental frequency of the recorded kick drum track as well as its recorded effective frequency range (minimum and maximum). He will use these data to determine how much Q he needs to adjust to the parametric equalizer to accurately adjust the kick drum sound in the mix. 1.) Open up the track in Adobe audition edit view. 3.) In the FFT size, select 65536, this is the most accurate setting.